It's 1984 and the citizens of Hawkins, Indiana are still reeling from the horrors of the Demogorgon and the secrets of Hawkins Lab. Will Byers has been rescued from the Upside Down but a bigger, sinister entity still threatens those who survived. After Will sees something terrible on trick-or-treat night, Mike wonders whether Eleven's still out there. Nancy wrestles with the truth about Barb. Dustin adopts a strange new pet, and Eleven grows increasingly impatient. A well-meaning Bob urges Will to stand up to his fears. An ailing Will opens up to Joyce -- with disturbing results. While Hopper digs for the truth, Eleven unearths a surprising discovery. Nancy and Jonathan swap conspiracy theories with a new ally as Eleven searches for someone from her past. “Bob the Brain” tackles a difficult problem. Will's connection to a shadowy evil grows stronger, but no one's quite sure how to stop it. Elsewhere, Dustin and Steve forge an unlikely bond. Psychic visions draw Eleven to a band of violent outcasts and an angry girl with a shadowy past. An unlikely hero steps forward when a deadly development puts the Hawkins Lab on lockdown, trapping Will and several others inside. 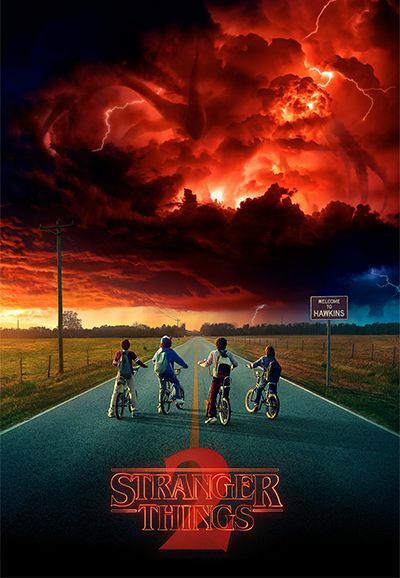 Eleven makes plans to finish what she started while the survivors turn up the heat on the monstrous force that's holding Will hostage.